Charter a private flight to San Diego, the pleasant coastal city along the coast of California. Whether flying private to California’s second-biggest city for business or bringing the family to fun-filled parks such as Legoland, SeaWorld or the city’s world-renowned zoo, we can help arrange the right aircraft and flight itinerary that best suit your needs. Los Angeles Private Jets believes in providing private flyers with a one-on-one consultative service experience that exceeds every expectation. We understand that your time, privacy, flight preferences and most of all, safety, are all extremely important. Our San Diego Jet Charter representatives are available for you by phone and email 24 hours a day, 7 days a week. When using our private aviation service, you can expect quick response times and an easy, hassle-free booking process. Request a quote or call us to arrange your private flight to San Diego, California. 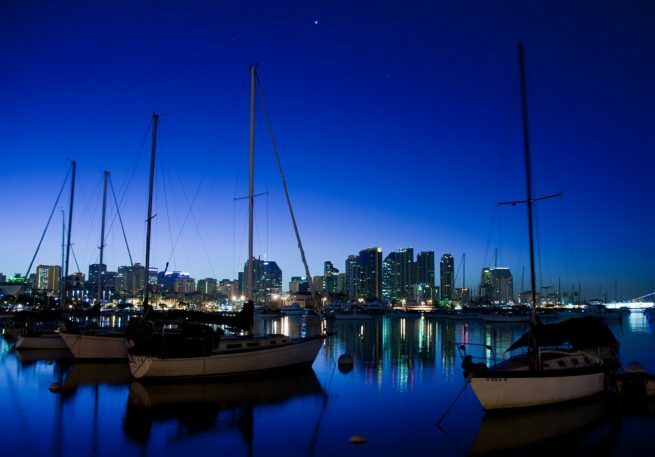 San Diego is a beautiful coastal city with a mild climate and a relaxed vibe to match. San Diego has a lot to offer private luxury jet travelers, from golden-rolling hills and a diverse culture, to a variety of hotels and resorts for luxury getaways, business trips and special events. The following list of our top choices was created based on factors such as Los Angeles Private Jets passenger feedback, location, amenities and online reviews. Once you arrive in California via luxury private jet, our San Diego jet charter service brokers can also arrange ground transportation to/from the hotel of your choice. 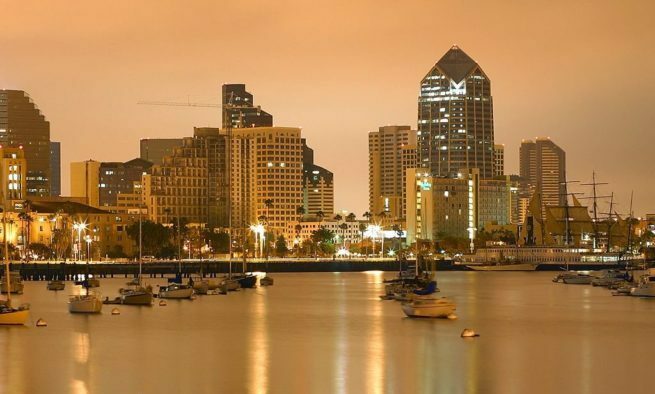 San Diego is the 2nd largest city in California. It has a wonderfully mild and consistent coastal climate. The relaxed pace of this metropolitan area can be a nice break from the hustle and bustle of San Francisco or Manhattan. If you don’t feel like taking advantage of the cities tranquil atmosphere, you can pop on over to Tijuana, Mexico which is decidedly not tranquil. As for a happy medium, there is still fun to be had in Downtown San Diego. Bars, restaurants, and shops of all kinds abound in this coastal part of the city. The city of Chula Vista grew exponentially during the 20th century; despite starting out as a small farming town, it is now one of the largest and most popular destinations in San Diego County. Many locals flock to Chula Vista to take advantage of its excellent fishing, or to dock at the Chula Vista Marina. Most people get around by driving, as is typical of California, but there is also a trolley system that’s reported to be quite efficient. Coronado is definitely a more upscale area of San Diego County. Self Described as “a resort town”, Coronado has a much smaller population of about 24,000. This low census number gives way to a much higher average household income, lots of gourmet restaurants, and some of the nicest resorts in the world. One such resort, the famous Hotel Del Coronado, consistently tops lists of the worlds top resorts. It boasts a very impressive previous guest list, full of household names like Thomas Edison, Franklin D. Roosevelt, Jimmy Carter, and many other world leaders. Check out more of our recommendations after your private flight to San Diego, California. Carlsbad has a pretty relaxed, oceanfront atmosphere. It’s a bit out of the way of the more metropolitan parts of SD. It’s about the only place in the area with beaches that aren’t extensively developed, which could be either a plus or a minus depending on your perspective. It’s extremely popular with foreign tourists. People from France, Italy, Scandinavia, and Germany are especially likely to end up in Carlsbad. Overall, it’s a great city for relaxing family vacations, or for reacquainting yourself with reasonably untouched nature. (KCRQ, CRQ, CLD) McClellan-Palomar Airport is available for private flights heading to San Diego County. El Cajon is a residential city located in San Diego County. Sometimes people call it “The Big Box” because it’s completely surrounded by mountains, and it’s also a rough translation from “El Cajon”. Its most prominent claim to fame is that it houses the Taylor Guitars headquarters. (SEE) Gillespie Field handles private flights to the area, and it features a runway capable of landing private aircraft up to the size of most light jets. Los Angeles Private Jets utilizes the following airport to fly clients privately to/from San Diego, California and neighboring areas. Request a Quote or give us a call at 1-888-987-5387 to speak with one of our San Diego Private Jet Charter agents for your next luxury vacation, business trip, or special event.